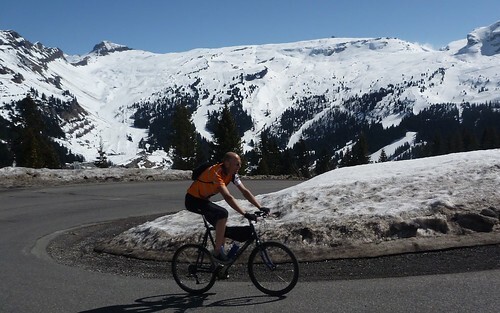 I often suggest this as a perfect introductory climb for the famous big Alps climbs. 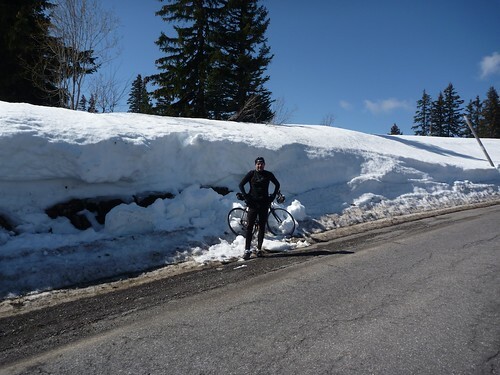 At 1844 metres, Col de Pierre Carrée is the highest paved road that is open all winter near me. 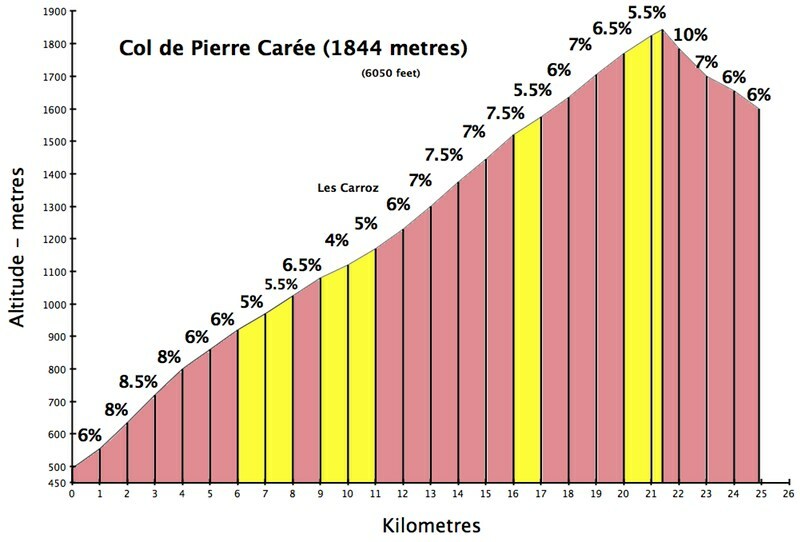 The first 10 kms of the climb was in the 2009 TdF as part of the Queen stage 17. 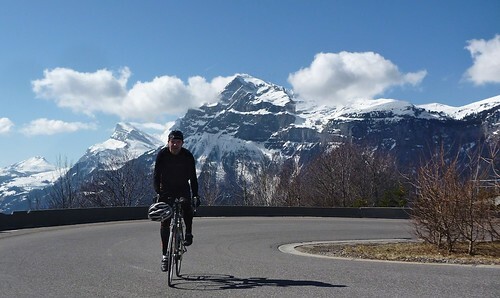 I often suggest this as a perfect introductory climb for the famous big Alps climbs. 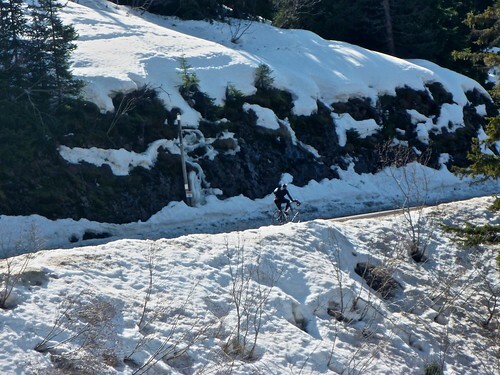 Because at +20 kms and 1350 metres of ascent, it’s a giant …. but it’s never crazy steep. It’s a heatwave currently, and Eric even wore shorts and short-sleeves up. 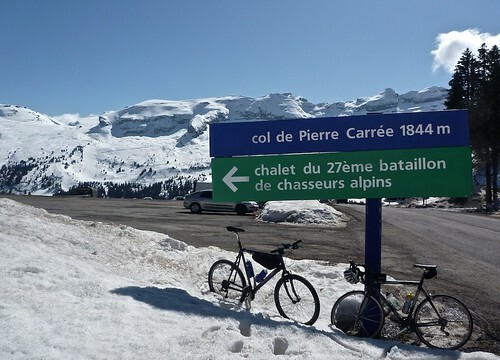 From the top, it’s possible to descend 4 kms to Flaine ski station – still fully open. 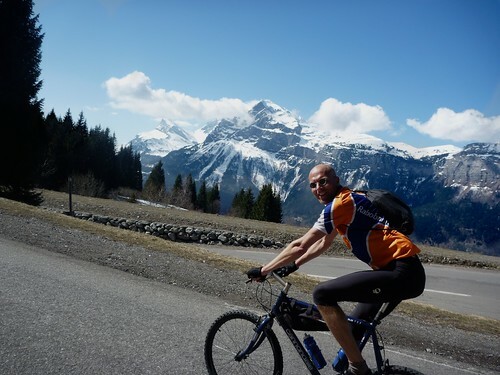 The descent is fast and not very technical – fun.